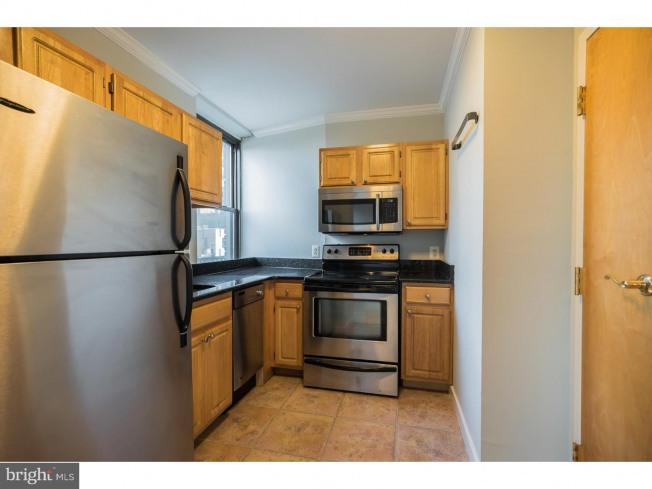 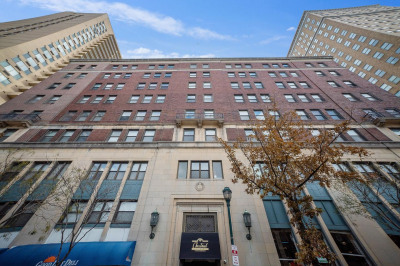 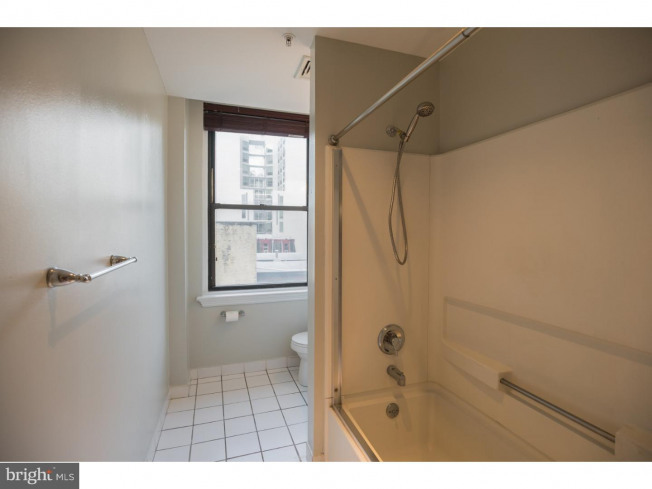 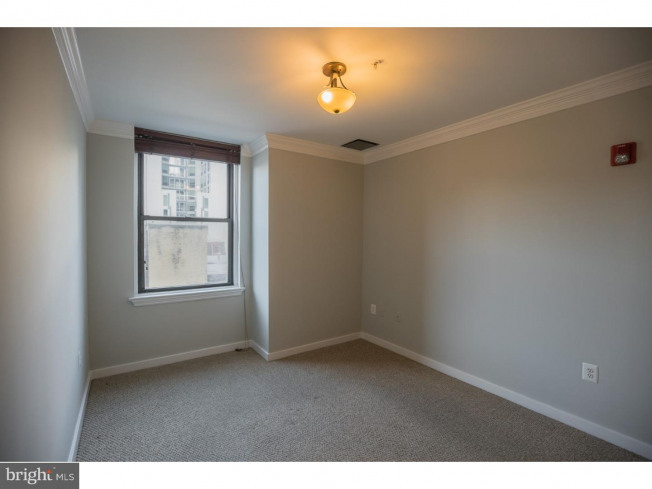 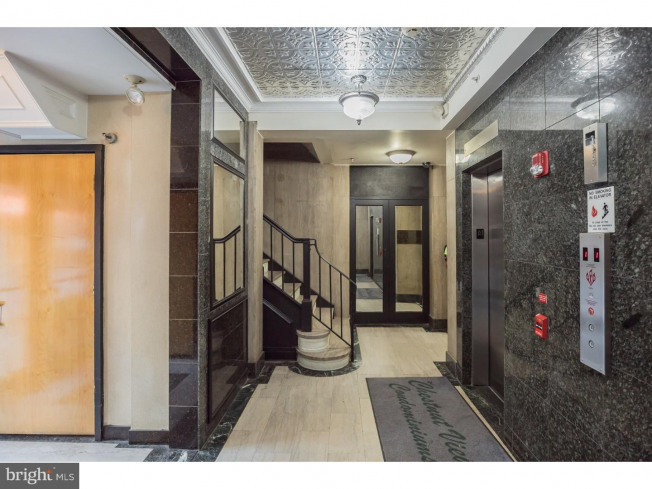 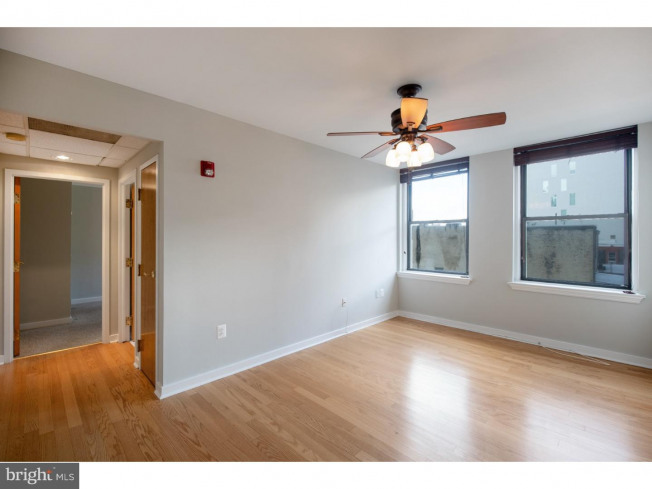 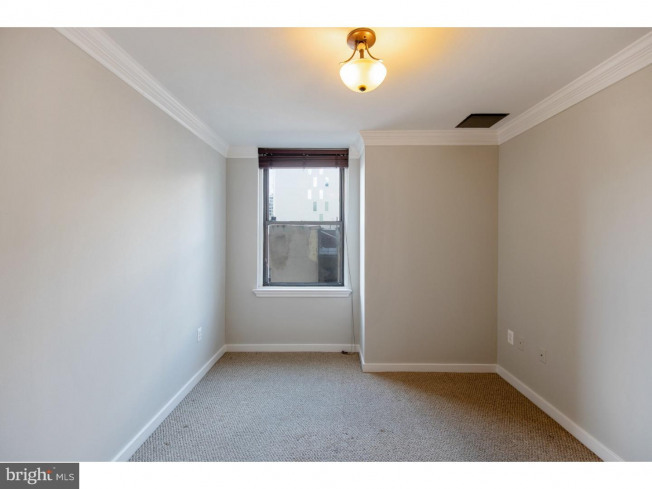 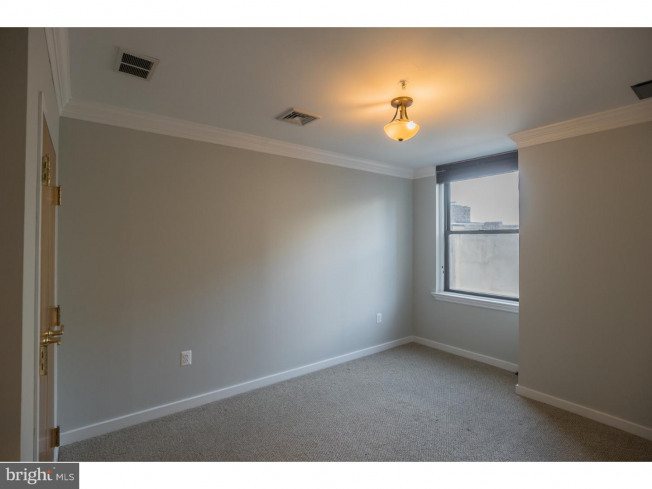 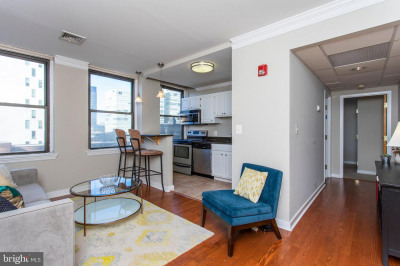 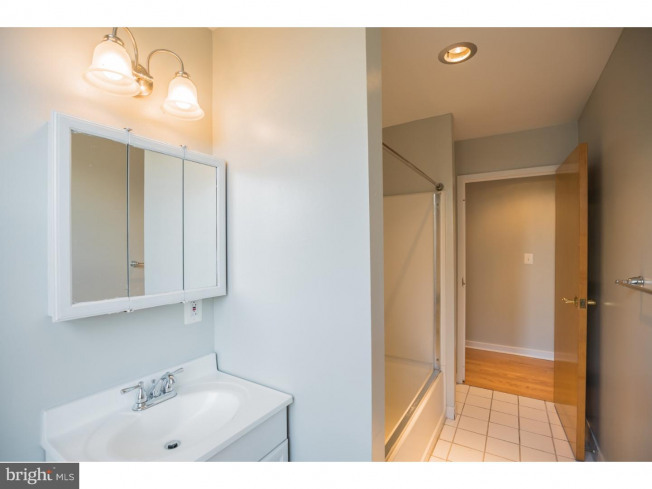 Don't miss out on this one bedroom, one bath condominium which is located just steps away from all Rittenhouse Square has to offer! 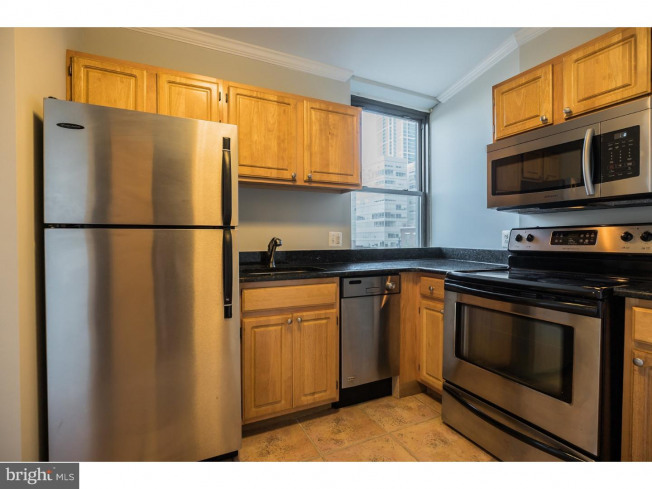 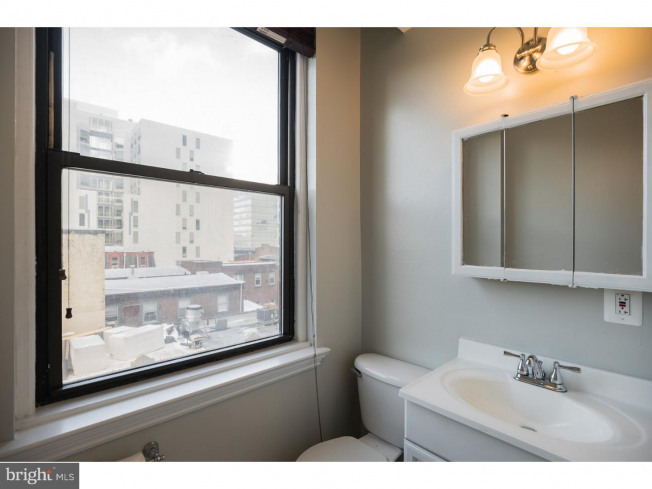 This sunny, mid-rise unit has both city & sunset views, a kitchen with stainless steel appliances and granite countertops, a pantry, a hall closet, a spacious bedroom, and a bathroom with a window. 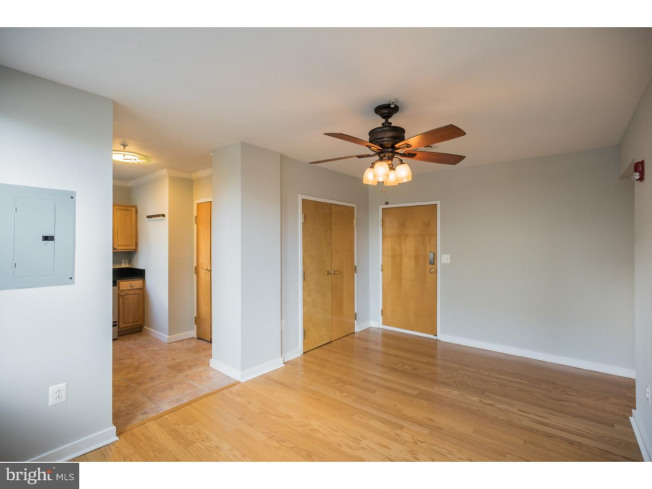 Hardwood floors throughout the living area. 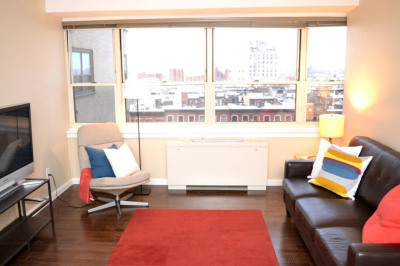 Shared laundry and reasonable condo fees as well! 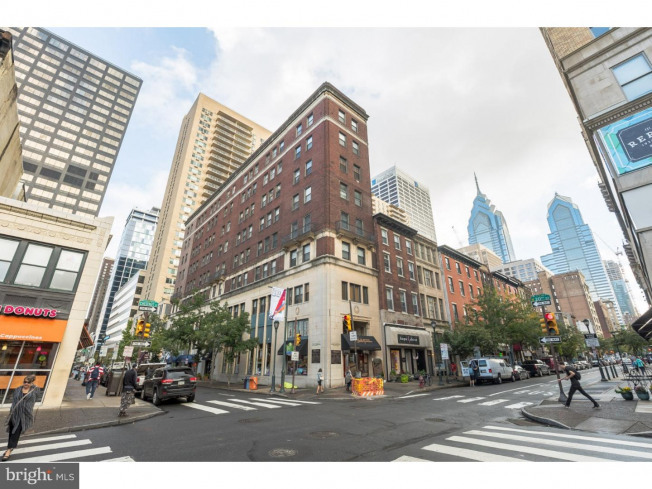 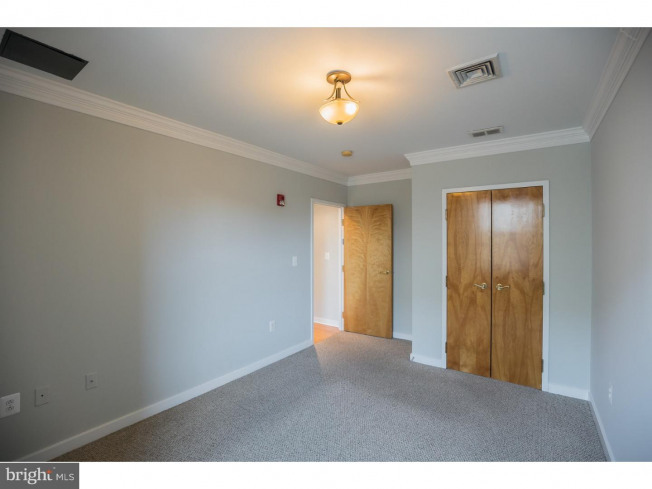  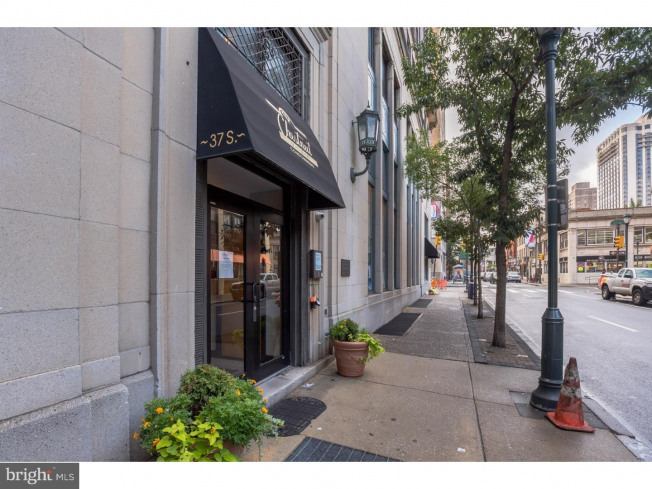 This location is a quick commute to Rittenhouse Square, University City, 30th Street Station, Market Street and City Hall. 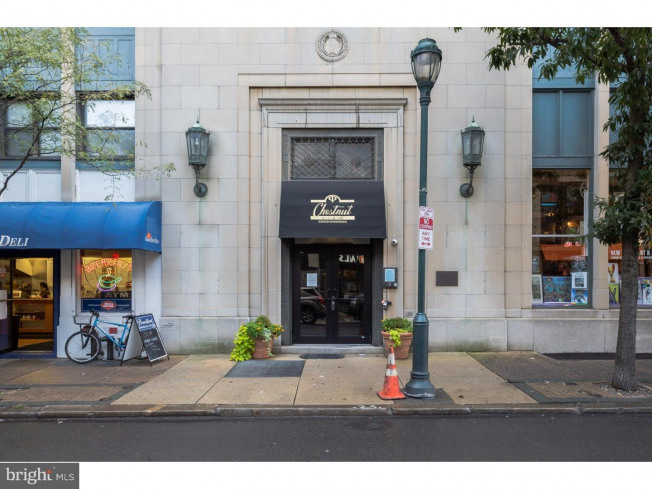 Walk to Septa routes, cafes, shops, grocery stores, gyms, restaurants, the Schuylkill River Trail and museums. 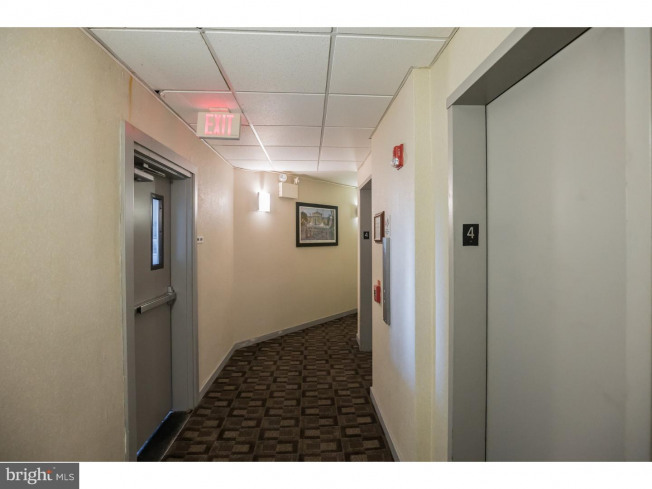 Condo fee includes cold and hot water, building insurance, trash removal and common area maintenance. 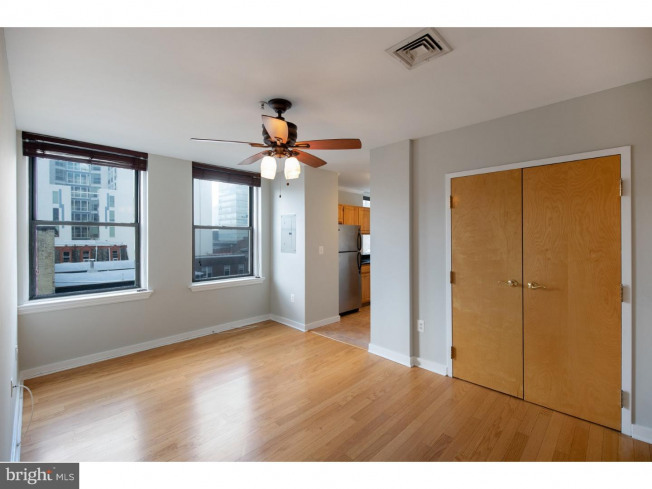 Property has a dedicated heating & cooling unit as well.